As soon as we’d tweeted about the Bloomsbury Institute Evening with Graeme Obree to celebrate the publication of The Obree Way, tickets sold out quicker than for a One Direction concert. 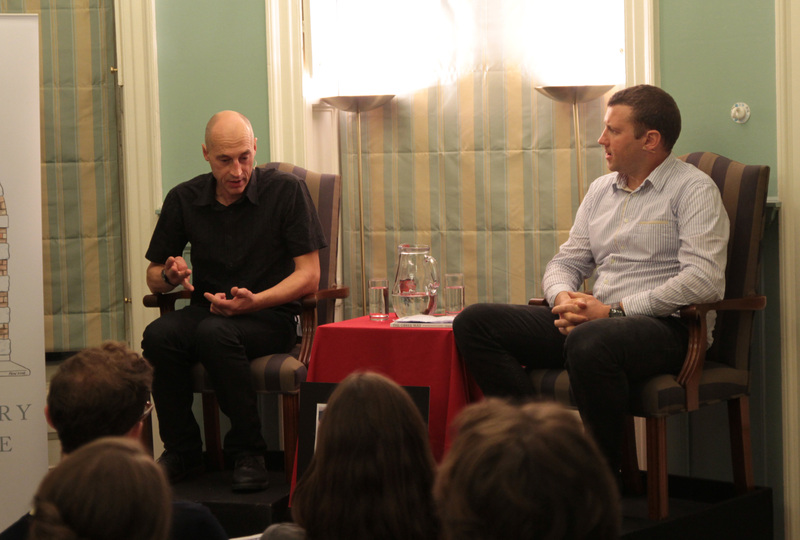 Last night an audience of cyclists and Obree fans gathered to hear the great man interviewed by journalist Richard Moore. An hour didn’t seem enough – 60 minutes to cover such a varied career – the world records, the World Championships, the UCI, the movie of his life, the highs, the lows, the Beastie… With Richard at the tiller the audience were guided through Graeme’s career, and his own inimitable take on cycling, life and motivation. Graeme pulls no punches – his refusal to enter the doping programme for Le Groupement lost him his professional cycling career (and the shortest pro contract ever at 11 hours in total from signing it to being kicked off, he laughed…), but he winningly argued that come what may, he retains his self-respect and pride in his decision. Asked about the UCI he was winningly supportive – while their decision-making damaged his career he argued that it pushed him on to continue innovating, and also that without their volunteers and officials cycling events simply wouldn’t happen. Asked what his greatest wish for cycling was he used the opportunity to despair at the lack of support for women’s cycling – and especially a women’s Tour de France. It was a fascinating opportunity to hear from a cycling legend – an iconoclast and innovator who has pushed the boundaries throughout his career. 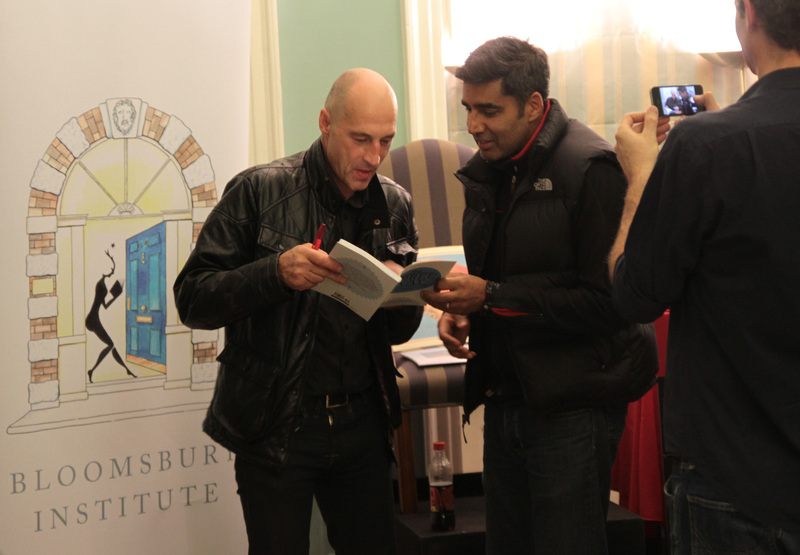 This entry was posted in Author, Books, Cycling, Team Sport and tagged Bloomsbury Institute, Cycling, Graeme Obree, Richard Moore, The Obree Way. Bookmark the permalink. 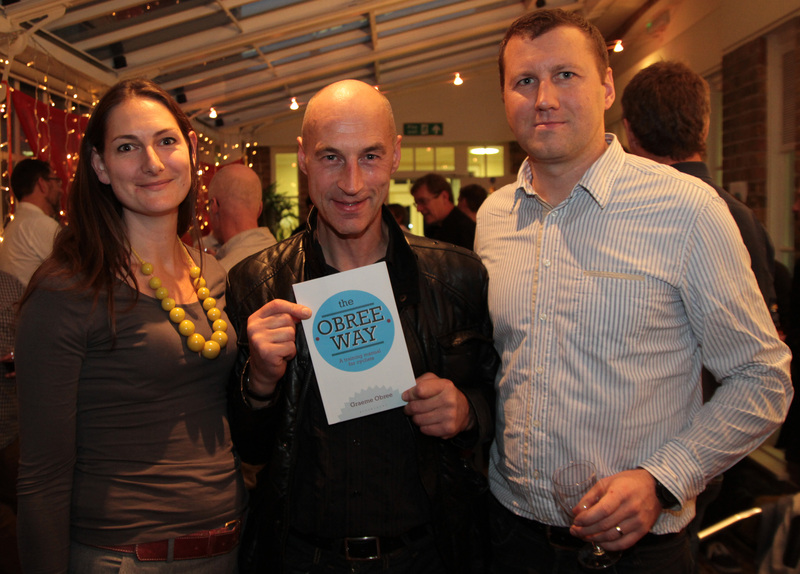 It’s great to see Graeme Obree out there and sharing his wisdom on all things cycling – if anyone has earned the right it’s him. A man with class and invention.